Watch out poultry best-seller list: This hilarious account of a rookie poultry-owner’s experience raising birds in his backyard is the first “chicken memoir” of its kind. Owning chickens is fast becoming the latest in metropolitan chic - and if you can’t own them, you’ll still want to read about them. Move over Julia Roberts and Brad Pitt (both rumored to raise chickens), Martin Gurdon is the new celebrity chicken owner. 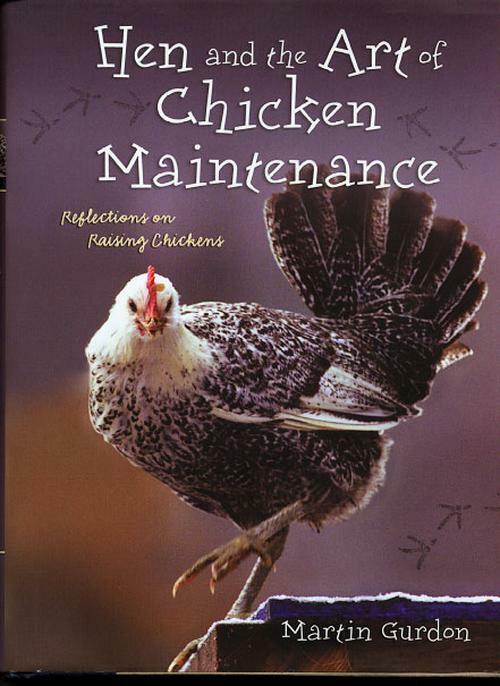 Bound to be a classic, Hen and the Art of Chicken Maintenance follows the Gurdon family through the ups and downs of this wonderful hobby. In addition to providing eggs, the hens offer distractions from everyday life - BB has terrific telephone etiquette; the spirited but weak Yvette requires Gurdon to act as a personal trainer; and Wimpy is soon renamed Psycho as she’s allowed to brood three of her eggs. The book chronicles the daily life of a chicken, including dust baths, brutal pecking order rituals, gender bending encounters, and, for its owner, the possibility of huge vet bills. The relationship between bird and human is by turns heartwarming and bewildering, but always entertaining. Add “informative” to the list, and you could be describing this very book. 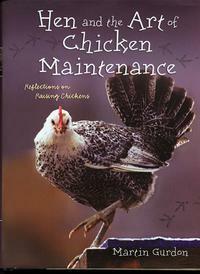 In fact, you might even learn a thing or two about raising chickens in Hen and the Art of Chicken Maintenance. 152 pages,soft cover.